Putty is an open source SSH client used to connect to a remote server. Putty is basically a terminal for windows based operating systems. It supports several network protocols, including SCP, SSH, Telnet, rlogin, and raw socket connection. PuTTY was originally written for Microsoft Windows, but it has been ported to various other operating systems. 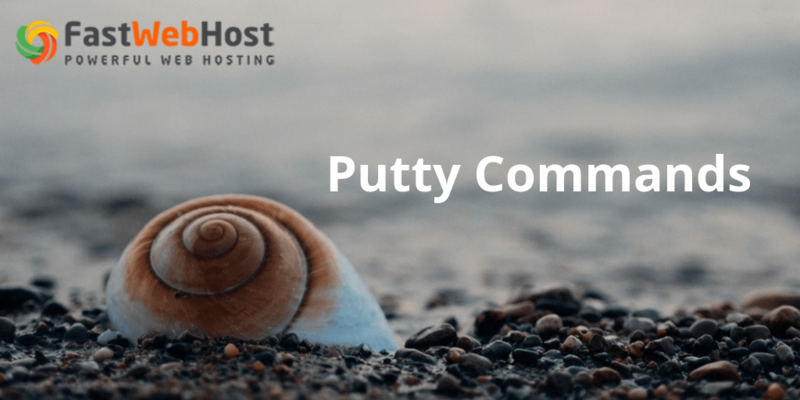 To work with Putty you need to know few basic Putty Commands. Say you have a Linux Server set up. To connect to your server from your PC you can use Putty and type simple SSH commands to perform different basic actions such as creating folders, copying them and so on. Download Putty and save it on your desktop. You don’t have to install it just click on it and it will run out of the box. Out of all those options we are interested in well…just one and that’s the Host Name field(the IP address). Here you need to input your own server’s IP address in order to connect to it. Just enter the IP address making sure the connection type SSH is checked and port is 22. Hit open. You will be presented with a black screen like this. 1) How to find out where you are, the pwd command shows you present working directory. The cd command is used to navigate into a specified directory on your server. Using this command you will remain in the same directory you were. Above command will navigate to the previous directory. Above command will navigate to the home directory on your server. Above command will navigate to root. Using the ls command in a folder will display all it’s content. Will return all content of the folder /home. The ls -r command is used to see sub-directories recursively. To copy a file just use the cp ssh command. This one is used to copy the entire folder with all it’s contents. To delete a file on your server just use the rm command. This command is used to delete all contents from a directory. Use this command to remove directories. Thanks for reading our article and we will keep updating the same articles with more useful commands in coming days. Keep checking this space for more Putty commands. You can also check other Linux commands from the below articles box. AuthorshivaPosted onFebruary 15, 2017Edit"Putty Commands"